We’re all guilty of eating too much from time‒to‒time, especially in January when we’re trying to restrict ourselves and the weather is miserable. However, as tempting as takeaways and chocolates may be, there are ways to stop yourself, fighting the temptation to overindulge when you get the urge. 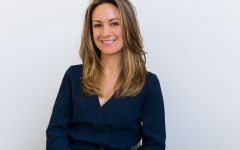 Based in Harley Street and High Street Kensington, Fiona Lamb specialises in helping her clients navigate anxiety, emotional eating, and addictions, by using a variety of bespoke hypnotherapeutic treatments. When we tell ourselves we can’t have something, we want it more. Don’t tell yourself you are on a diet or starve yourself. When you do this, it makes you feel deprived and that you are missing out. Make being healthy a part of your lifestyle instead and make good, nourishing foods mentally available to you. Get inspiration from Instagram and you will soon find yourself craving that Paleo‒inspired dinner. Food is made up of energy. Some food has more energy than others and may, in fact, keep you fuller longer. When you don’t label food as ‘good’ or ‘bad’ you don’t feel guilty for eating something. Learn which foods are going to fuel your body and keep you fuller for longer. If you are turning to food when you are angry, upset or lonely then it isn’t the food that your mind wants. Your mind is craving a feeling, not the food. Recognise this, see the patterns and find other ways of dealing with your stresses. Carbohydrates have been shown to increase serotonin (the happy chemical) levels temporarily, meaning that you produce less naturally. In other words, it’s not the food that is making you happy, but the emotional connections you have with them. The more attention you give food, the more it becomes a bigger area in your life. This makes us more likely to turn to it if we are faced with stress. Try to break the thought pattern and focus on something more productive. Remember; food isn’t the enemy. Make your cooking area a welcoming place that you aren’t always trying to avoid. This could involve putting the radio on, getting some flowers and filling your cupboards with good, healthy, nourishing foods that you enjoy. Getting organised feels great! When you plan your meals, you won’t need to think about food. You are much less likely to eat for the sake of it if you plan. You can also ensure that you are getting a varied, balanced diet to feed both your mind and body. Often in life, things won’t be in our control and it can feel overwhelming. This is when we can press the ‘F✴︎&k it’ button and overeat for the sake of it. You are ALWAYS in control of how you act and react and ALWAYS have a choice.